The Nature of Grace: Homeschool Theme of the Week: Oceans and Beaches! 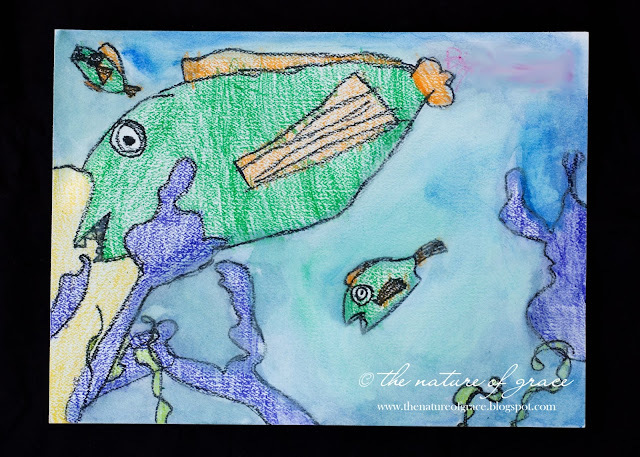 Homeschool Theme of the Week: Oceans and Beaches! 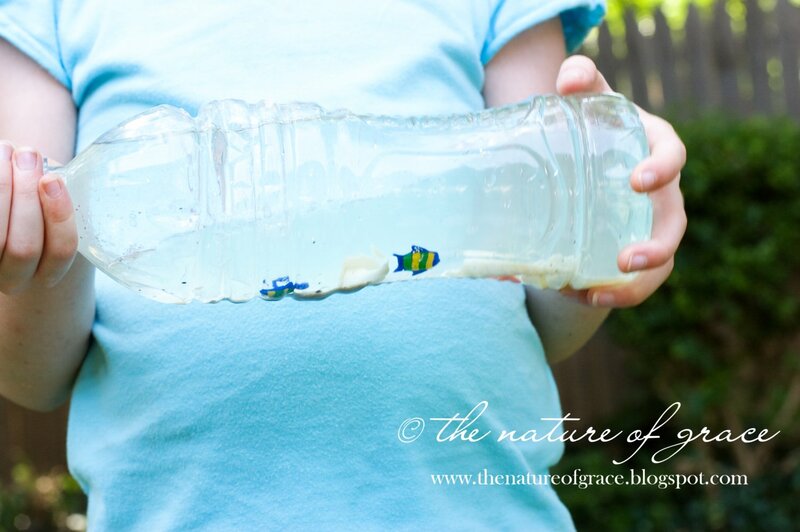 This is an activity called an "ocean in a bottle". See here for directions on how to make your own. We should have used more food coloring to make the water darker so you could see the division between the water and oil and benefit from a better visual of wave action. Oh well. Miss A still liked making this. We added shells and fish buttons and some sand to ours. 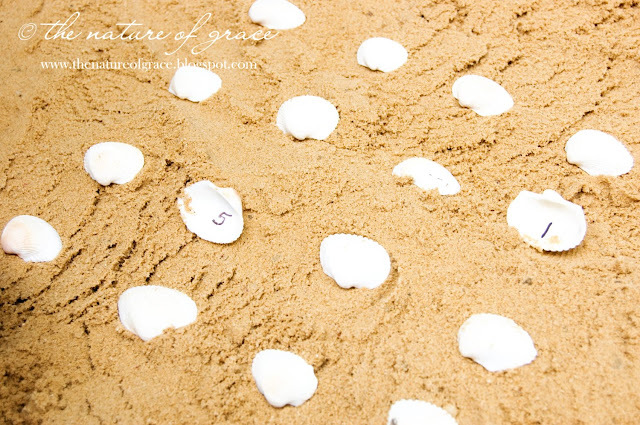 I saw a cute idea here on Pinterest regarding putting treasures under shells. I put my own spin on it and wrote a number on the bottom of each shell to use for addition facts. 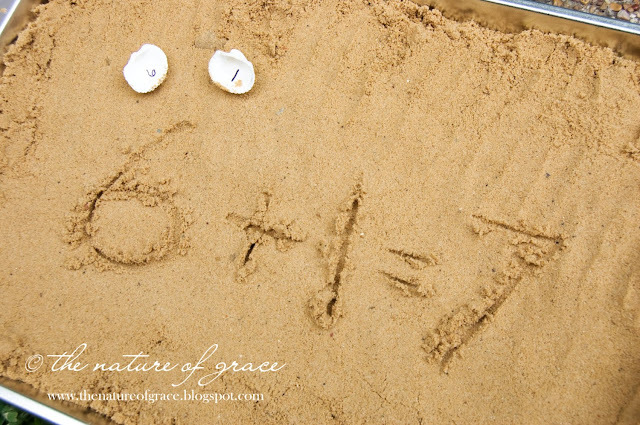 Miss A would turn over two shells, add the two numbers together, write the number sentence in the sand, and if she was correct - would get to keep the two shells. Then I would have a turn. At the end, we laid our shells out (matching one to one) in lines to see who had more. This was our fun snack for the week! See details here. While walking through a craft store one day, I was struck by the gorgeous jeweled tones of some acrylic gems and how they seemed to resemble the shiny, colorful scales of a fish. 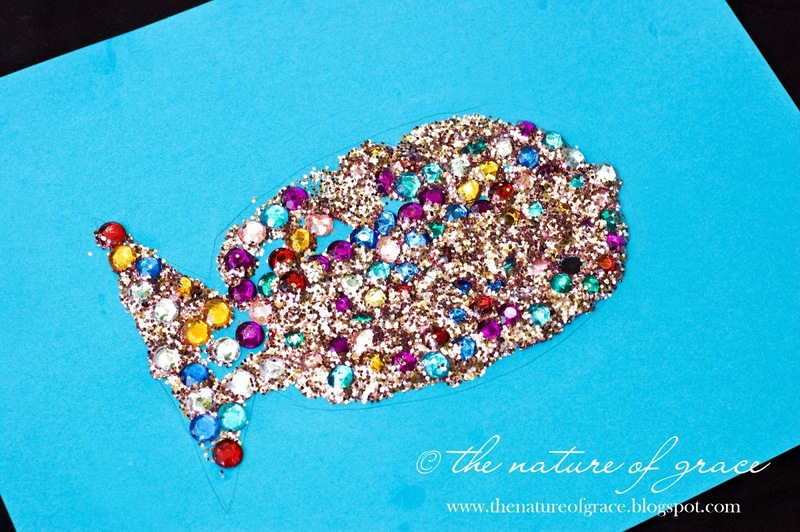 Soooo, I bought some, drew a fish outline, and let Miss A pour on the glue and gems (the glue began to overwhelm the gem part so we added glitter to help). 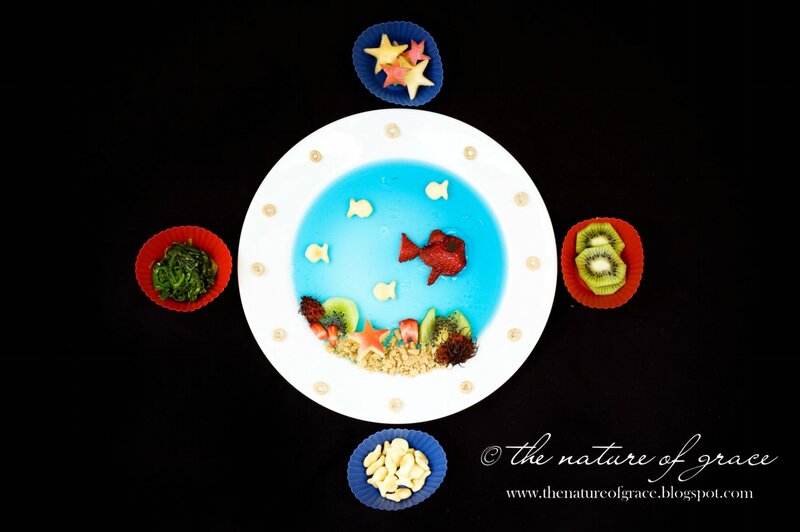 I am thinking this would have been a super activity to go along with "The Rainbow Fish". My plan for this activity was to do a crayon resist painting. Miss A picked a page from a book, then drew and colored the scene on watercolor paper. However, I made the mistake of having Miss A use crayons which were washable. So of course, when she began to watercolor her picture, the crayon seemed to do less resisting and more blending. I told her to try to avoid the other crayon areas and just paint around them instead. So much for the "resist" part. Oh well. I am now wiser for it, I suppose. 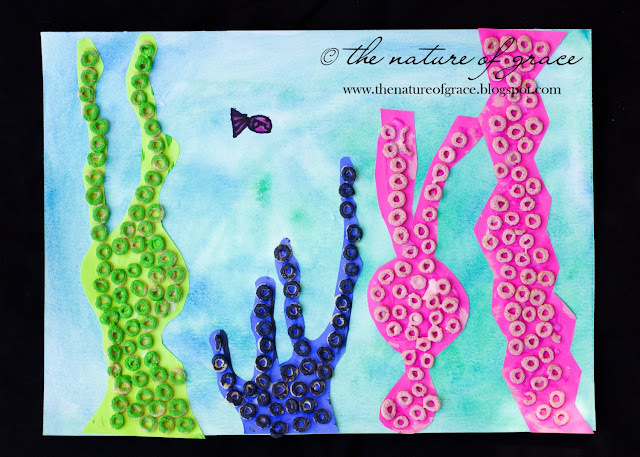 We created a coral "garden" or "zoo" using cheerios glued onto shapes Miss A cut out. The original activity (here) called for puffed rice, I believe. However, I didn't have puffed rice so we used cheerios instead. She then painted the cheerios to match the color of the shape and glued them onto a paper she had watercolored. We finished off the week by watching Disney's "Oceans" (a really well done documentary about ocean life) and eating fish tacos and "ocean pie". By the way, if you are fortunate enough to live near an upscale grocery store with a great fresh seafood section - think possible field trip! I know it sounds crazy, but I was shocked at all the neat creatures we saw at one - dead - but real. I think Miss A was highly intrigued by them, as was I. Looking for some ocean themed books? See below. I love all of these activities, especially the cheerio coral garden! What a genius idea! Oh wow I'd love to be one of your kids!! You have the best ideas I'm a new follower now. PS thanks for visiting my blog. Wow, these are all amazing! My favorites are the ocean pie, buried words, and coral garden! Stopping by from Homeschool Creations. I am a new follower. Hope to see you at True Aim. Thanks for sharing these great ideas! I'm so in love with the cheerio coral. Awesome!!! 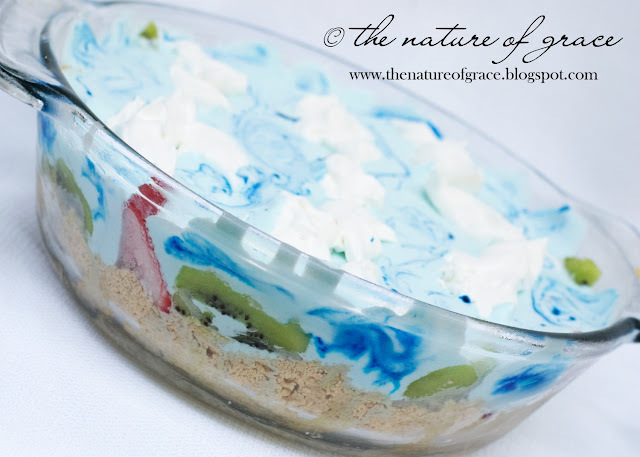 Can't wait to hear the details of the ocean pie. There are so many great ideas in this post! I love the coral Cheerios and the sea shell math activities in the sand. Thank you for linking up this week to my Enchanted Thursdays Blog Hop! So many awesome ideas! Makes me want to go to the ocean :) Thanks so much for sharing at Mom On Timeout! we love for these activites.W wıll make my daughter.thanks. 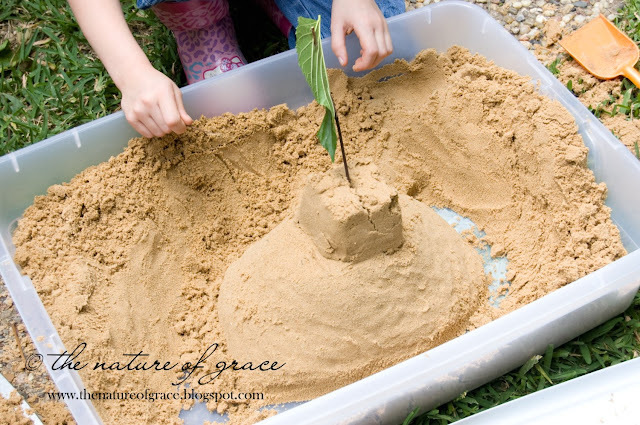 These activities are amazing! 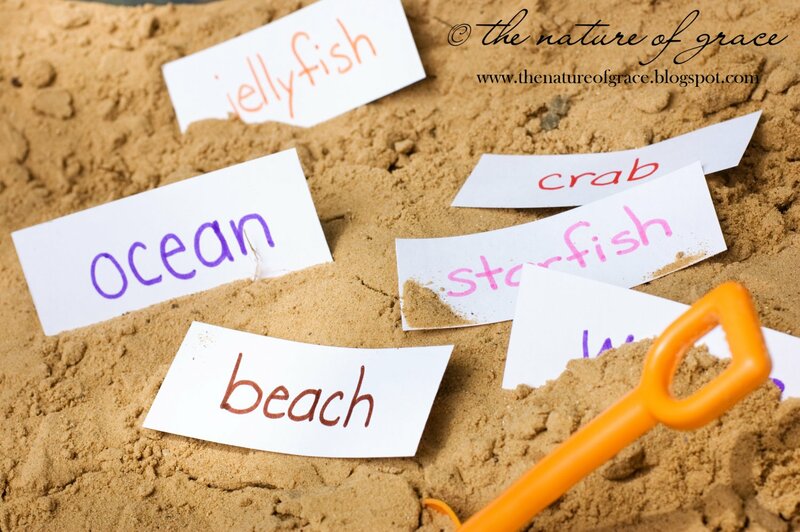 I hope you don't mind - we featured your fun beach/ocean lesson at our blog, Preschool Lesson Plans! We were sure to give idea/photo credit, as well as a link back to your blog, but we'd love for you to take a look at it! Thanks so much for linking back! Some wonderful ideas!! It looks like a lot of fun. Thanks for sharing at Sharing Saturday!! so many great ideas Michelle! I'll be featuring you this week @ Inspire Me Fridays, thanks so much for linking up! 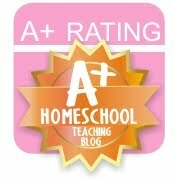 Homeschool Theme of the Week: Dentist and Teeth!